The goal of this book is to have a community documentation providing extensive and up-to-date instructional information about how to use the open-source ROSE compiler framework, developed at Lawrence Livermore National Laboratory. Designed for computer science students studying for a second year course in compilers/programming language translation, this text manages to combine theory, applications and use of compiler writing tools to give a solid introduction to the subject. This book explains compiler construction in simple terms and by means of practical examples, but without avoiding the fundamental theory. It does not stop where other books do, and takes you on a tour through the whole compilation process. Guide to compiler construction using tools like Flex and Bison. 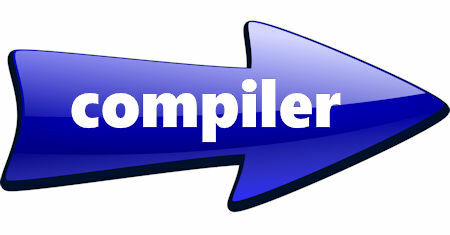 Using these tools, you can focus on the concept of compiler without the hassle of building a compiler from scratch. You are required to be fluent in C programming. This book treats parsing in great depth. 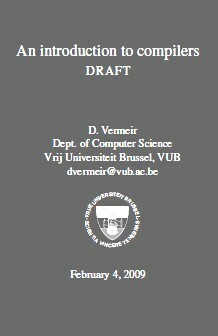 It offers a clear and thorough discussion of different parsing techniques with their applications, including error recovery techniques. The text covers almost all parsing methods, not just the popular ones.